Experience special moments in a friendly, cosy and charming ambience. Start your day with a balanced breakfast, relax in our lounge La Montgolfière and at end the day enjoy your drink at the bar. We will be happy to welcome you for dinner at Hangar 9, our new restaurant in Basel. 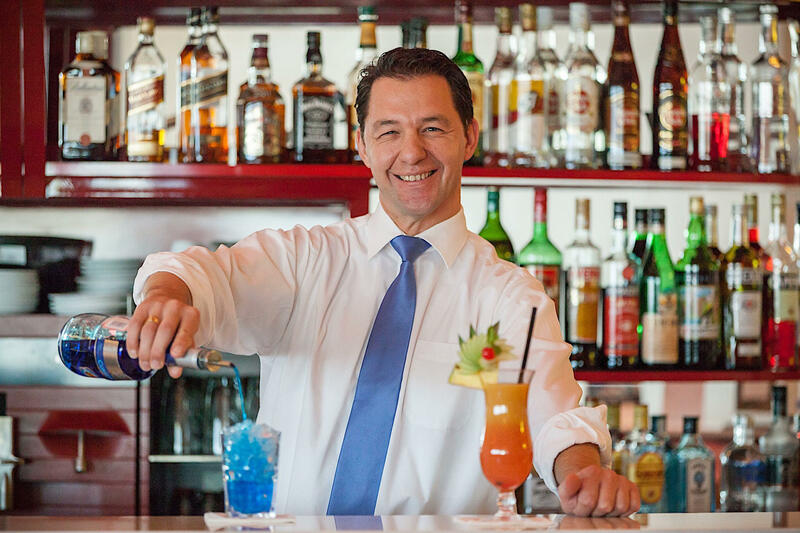 The La Montgolfière Bar & Lounge is a place to feel good and relaxed. Lean back for a moment and forget about everyday life over an appetiser and drink during your dinner in Basel. Open daily, noon to midnight. Our rich and fresh breakfast is served daily from 06.00am to 11.00am. Let yourself enjoy a fresh start in the morning with a various breakfast. Try our fresh baked croisants, the breakfast cereal, our special omelette, or our rich selection of bread and combine it with a variety of lunch meat and swiss chease. Have your coffee or your fresh juice in modern breakfast room. For those who need to catch an early flight, don’t worry. We've got you covered. Our "early bird" breakfast buffet starts as early as at 04.30 in the morning with a fresh baked croisant, a cup of coffee or tea and a fresh juice. Decide yourself when you want to be sociable and when you want some peace and quiet. Our room service will be happy to pamper you with delicious treats and beverage.